CATCH UP!!!! May til’ Today!!! Alright so I’ve been sleeping on my BLOG for a bit. but what can I say things get hectic sometimes…. So Instead of getting elaborate right now on everything I’ve done on the past couple weeks I’m going to take you through a quick scroll of the finger what’s been happening!!! I got to rock in Chicago in may and oh boy was it a blasts. I played at Zentra and Dragon Fly I got tore up on top of that. 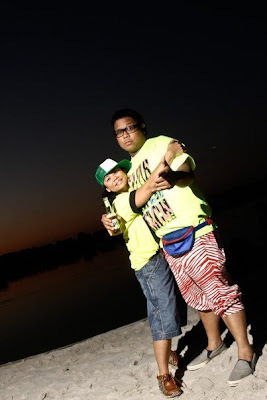 I hooked up with some Dj’s from around the country that weekend (Dj Raize (NYC), Baby Jae (Houston), Wicked(Indiana / Vegas, D Double (Vegas) and also got to kick it with some of the local mainstays in the CHI (Dj Flipside, Jay Funk, & Speed)… Love Chi-town – Shout out to Pablo!!! From the sound board atop Diesel… Thank’s T.J.
Dude… I always heard that this organization throw some ill parties… So i was excited to be able to rock this one/ PGH Party For a Purpose holds a party every month benefiting a different non-profit. 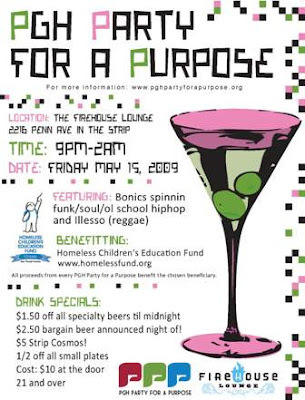 This particular party’s proceeds went to the Homeless Education Fund. The Party was slamming and I didn’t even play anything after the year 2000!!!! Bonkers… I have the whole night recorded I’m going to have to put it up!!! On their way to win the Stanley Cup I got to check out Game 1. Yes it was bananas and who was to know that they would eventually go win the cup… (besides PGH) Thank you to Heather!!! Wale had blessed PGH for his last show of his east coast tour. The show was bonkers… The energy of the crowd was insane. I think the best part of his show was him taking request to perform from his twitter… I got video from the show which hopefull I’ll post in the near future. Shout out to Weezy Wayne!!! Every Memorial Day weekend the Legendary FLZ in Tampa, Fl has live Dj’s all weekend live from Shepard’s Beach Resort. I was lucky enough to be invited to mix with them for the weekend. It was nice to get out of the burgh and hit the beach. It was a pretty wild weekend. We spotted Linda Hogan and I got to meet Tina Parol. Thanks to Dj Goofy Whitekid, Tommy Chuck, Rat and Puff, Jaime, and DJ Cue!!!! DAMN… Can you believe I came to Pitt in 1998… This is where it all started. I learned how to DJ and planted my seeds here in this city. I couldn’t have done it without my support that I recieved from my PITT people… Especially ASA… So on this particular weekend we decided to get together to bring back the love and also celebrate our dear friend Margarita Sarimiento’s B-day (She threw the party and her parents crib). What can I say, if you weren’t there I can’t explain the love… Thank you to my extended family. 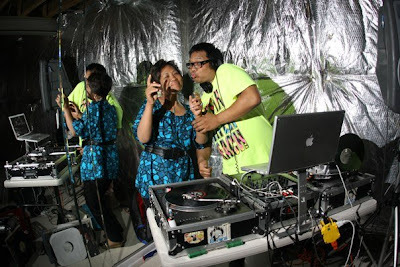 I also DJ’d for my mom for the first time EVER… Oh Yeah it was an early 90’s party… We don’t always dress like that!!! This was a great event for my magician, comedian friend. Lee Terbosic. He was chosen as one of the PG 50 Finest Bachelors by the Cystic Fibrosis Foundation. I was chosen in 2007 and i raised over $8,000!!! 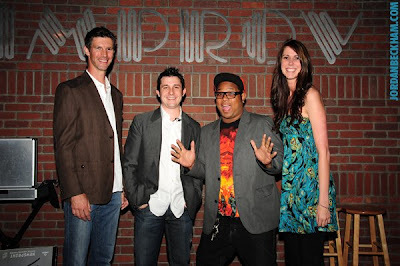 So to help out the cause I hosted this fundraiser for Lee at the Improv at the Waterfront. Tall Cathy and Scott Blaisey (The CLarks) also complemented the event!!! Thanks Lee!!! Ummm… This event was poppin… From what I can remember. All white party with the Superbowl Champion Pittsburgh Steelers… Not bad… Thanks to Hines and Ray. Shout out to J-Spin!! Yes Softball with Hines Ward and Friends!!! In attendance, Hines Ward, Big Ben Roesthlisberger, Willie Cologne, Jeff Reed, Santonio Holmes, Willie Parker, Deshea Townsend, James Farrior, and other millionaire athletes… plus some local legends like Jim Krenn, Randy Bauman, Sally Wiggin, Sonny Abbatta, David Hall, Mikey and Big Bob, Tall Cathy, and others i can’t remember at the moment. It was a great hot day of nin innings and I basically choose not to play cause I like to DJ… (and i’m no good at softball) Thanks to all who attended… Check out more pics here. 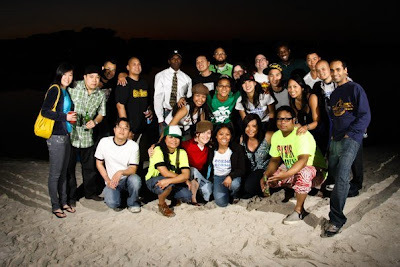 Group Shot… All the Players..
Quick Shout out to ZEN for having me to play with one of the staples in Las Vegas, DJ Shift (http://www.myspace.com/shift). I got to open up for him this night and it was pretty banging. Shift killed it!!! DJ McFLy and I got asked to do a corporate conference in David L. Lawrence Convention Center. Why not??? I like these gigs cause its just a taste of the corporate world. These cats have fun, get hammered, and dance its GREAT!!! VIDEO COMING SOON!!! Yes Pens won the Stanley Cup and I got to check out the last game of the 2009 season at the Mellon Arena. What a game!!! 2-1 My seats were bonkers!!! Not much to say!!!! Shout out to DAVE for the tix!! !